This spring we are giving away one of our bestsellers. 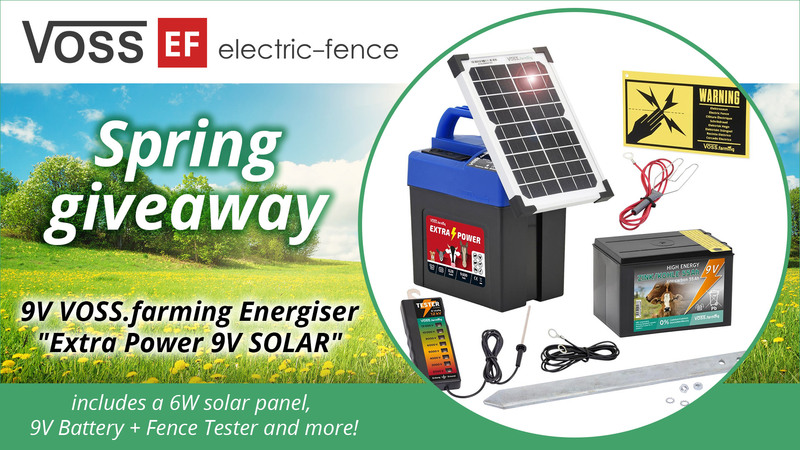 The "Extra Power 9 V" solar-powered energiser from VOSS.farming combines quality, safety and ease of use with outstanding value for money. It will ensure you always have a reliable partner for protecting your animals with an electric fence. 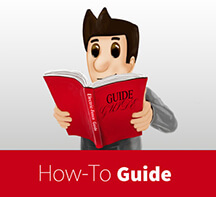 Click here to learn more about this energiser. CONGRATULATIONS TO OUR WINNER - HILARY D!!! For those who did not win here is 5% discount code 1W1RGZAR for the giveaway prize. 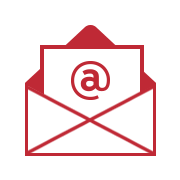 Code expires 22 April 2019 at 23:59:59. Happy Easter everyone. 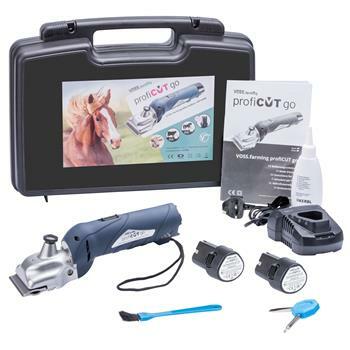 This Autumn we are giving away one "profiCUT go" cordless Horse Clipper. With the ergonomic grip and well balanced shape, our newest addition of "profiCUT go" comes with 2 powerful 12 V lithium block batteries, making the task of clipping portable and easy. The battery operated device gives you 90 mins uninterrupted clipping session. The ventilation of the silver blade head is made of robust pressure-cast aluminium which prevents the unpleasant whirling of animal hair. With cutting speed of approx. 2800 double strokes/minute clipping becomes easy and swift. The professional blade set is made of hardened special steel from Aesculap for VOSS.farming and thus guarantees a long life and highest efficiency. 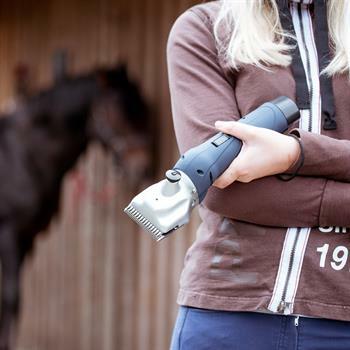 It is reliable, quiet, and gives a full performance ensuring grooming results anywhere. 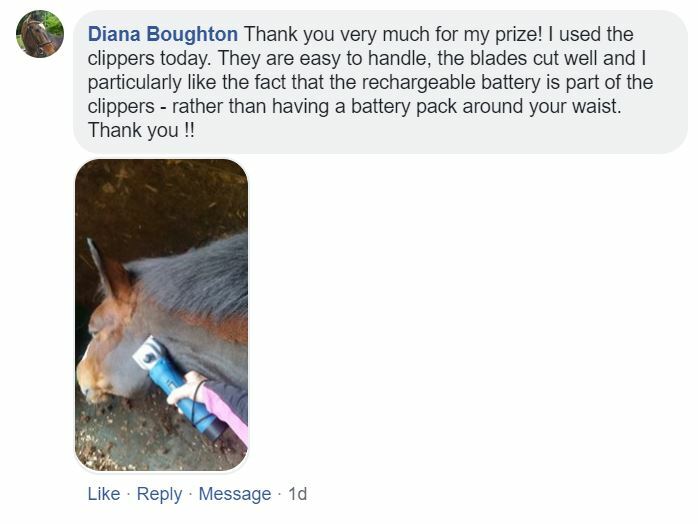 Learn more about our clippers here. 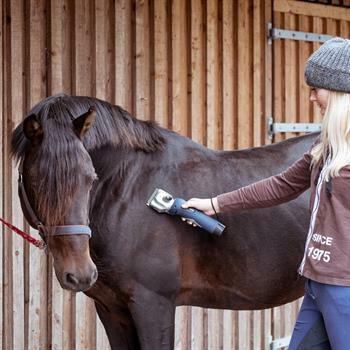 Win a VOSS.farming profiCUT Professional Horse Clipper!!! CONGRATULATIONS TO OUR WINNER - DIANA B.!!! Check back for the next giveaway.